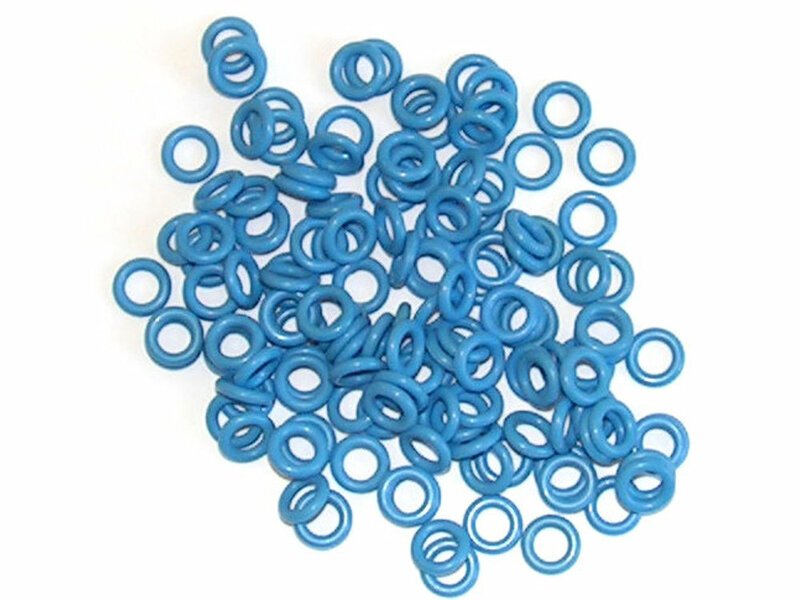 This set includes approximately 125 blue o-rings to modify the feel of your Filco or other Cherry MX keyswitched keyboard. The o-rings are fitted to the underside of each keycap, and soften the landing of the keys when pressed all the way down to the bottom of the keystroke. These are slightly thicker than our red and black o-rings 1.78mm apx, to give increased cushioning, 40 shore (standard hardness) and are made from ethylene propylene which is harder wearing than silicone. I bought these because I'm moving to a shared house and while I like my Filco Majestouch keyboard, the keys were bottoming out and make quite a lot of noise. I bought these because I'd heard they were good for quietening down the keys. They definitely help, though if I was ordering again I'd go for the slightly thinner red ones, because these do affect the key travel just a little bit, meaning that I've had to get used to what feels like a slightly different keyboard. The good news is that it's a lot quieter, and once I was used to it, I could type as fast and as precisely as before. The only thing I would add is that they are very fiddly and slightly difficult to fit over the underside of the keys, if you have large fingers like I do. Some kind of applicator tool would have been helpful, though this is a minor concern. After fitting they did also give me a bit of a worry because it took a while before they were 'settled' on the keys, meaning that each key had to be pressed quite a few times before it could be touch-typed with.